Many many call Xiaomi the torchbearer of the successful and thriving budget smartphone industry in India. The brand has launched multiple successful devices - in particular, the Redmi series and the Redmi Note series of phones. The Redmi 4A is one such device - having launched in November of 2016. The Redmi 4A packs in all the essentials you’ll need in a phone of its range - a large 5 inch LCD display with an HD resolution, up to 2 GB of RAM coupled with a Snapdragon 425 processor, and even up to 32 GB of internal storage. With a 13 megapixel camera on the back coupled with a 5 MP lens on the front, the phone even delivers quality pictures. However, being a 2016 device, especially at its price range, makes it difficult to compete with the new phones of today. Which is why it may make sense to quickly upgrade your smartphone by selling your Redmi 4A for the best price using Cashify. Why Sell Your Old Redmi 4A On Cashify? 1. Cashify’s automatically generated, transparent pricing model will ask you certain questions about your Redmi 4A’s condition, model number and the warranty period. 2. Based on your inputs, it will offer you a fair price for your phone, along with a doorstep pickup so you don’t have to step out. 3. Cashify will then provide you with the money for your Redmi 4Aright at your doorstep - in any payment method of your choice - cash, e-wallets, or even bank transfers. 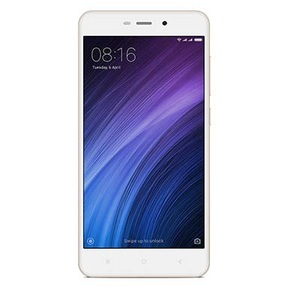 You can be assured of the best price if you are selling your old Redmi 4A on Cashify’s website, with its fair and transparent pricing and doorstep pickup service. Cashify has even partnered with nearly all the top global smartphone brands - which includes the likes of Apple, Samsung and OnePlus and of course, Xiaomi. 1. Log on to the Cashify website or download the Cashify app to sell old phone. 2. Search for the Redmi 4A, and share the condition of your device. 3. Receive your fair quote, and request for a pickup, and get paid instantly! Based on your pickup schedule, a Cashify agent will visit you and inspect the device. Once it is collected, you will be paid instantly.